Salt retains body fluids and raises blood pressure and cholesterol. 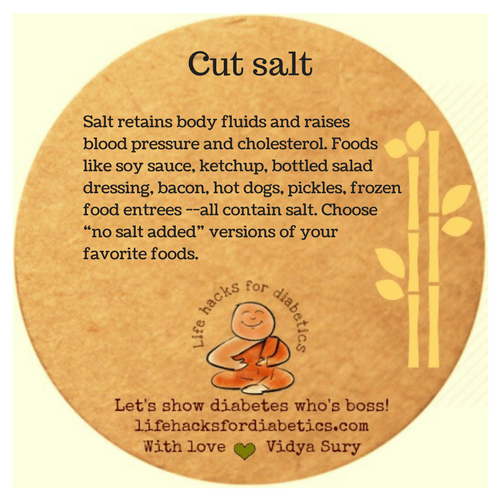 Foods like soy sauce, ketchup, and bottled salad dressing, bacon, hot dogs, pickles and frozen food entrees–all contain salt. Choose “no salt added” versions of your favorite foods. “Too much” salt is never a hard and fast quantity—it’s just a question of whether you’ve used more than you should for the amount of food you’re preparing. But I am in love! Superb tips! I will definitely come back for more. Bookmarking!